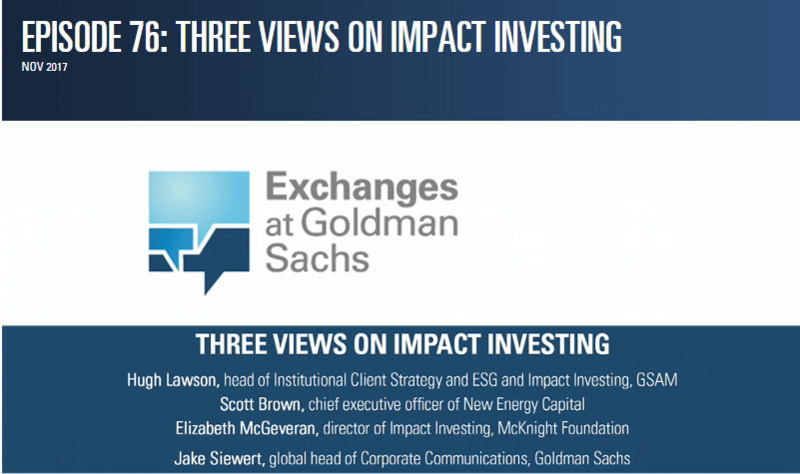 Hugh Lawson, head of Goldman Sachs Asset Management's Institutional Client Strategy and ESG and Impact investing efforts, is joined by Scott Brown, CEO of New Energy Capital, and Elizabeth McGeveran, Director of Impact Investing at the McKnight Foundation, to discuss how socially conscious investing has become mainstream and where it could be headed. Copyright 2017 by Goldman Sachs. All rights reserved.